On Monday 24 September, the International Crimes Division (ICD) opened the main trial in the case of Thomas Kwoyelo. This case is the first ever to be tried before a domestic court in the conflict that opposed the Lord’s Resistance Army and the Government of Uganda. Avocats Sans Frontières (ASF) Country Director for Uganda Romain Ravet raises concerns about the opportunity given for victims to participate and the lack of State support to the ICD. Who is Thomas Kwoyelo? What is the case about? Romain Ravet: Thomas Kwoyelo, alias Latoni, is a former LRA commander who surrendered to the Uganda People’s Defense forces in 2009. 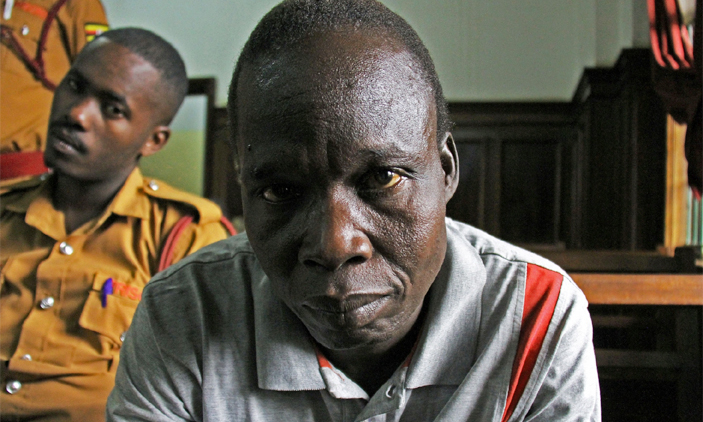 According to the prosecution, he was enlisted into the Lord’s Resistance Army (LRA) under the command of Joseph Kony and rose through the LRA ranks to become a ‘colonel’. 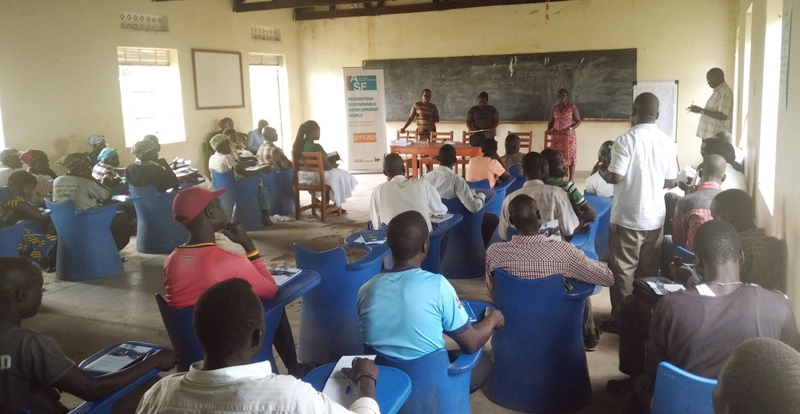 Kwoyelo led a series of attacks, between 1993 and 2005, on the Abera Village and the Pagak and Pablo camps for internally displaced people, in what is today the Amuru District. The attacks resulted in abductions, killings, maiming and the torture of dozens of people, including women and children. In 2011, the Constitutional Court granted Kwoyelo Amnesty but, in 2015, the Supreme Court overruled it and held that he could be tried for acts committed outside “furtherance of the war”. case has been pending before the International Crimes Division, the domestic court with jurisdiction in crimes against humanity and war crimes in Uganda. The case started in 2011. Why is it taking so long? Romain Ravet: Firstly, the issue of amnesty has proven complex to deal with. In 2000, a law was passed (and renewed since) to grant amnesty for all LRA soldiers who gave up their weapons. This law was instrumental in undermining the LRA and bringing about the peace negotiation process. However, the law conflicted with several provisions of the ICC Act and the Uganda constitution as it gave “a blanket” amnesty for all acts committed during the conflict, including crimes against humanity and war crimes. The debate hit a sensitive cord and got caught up in the classic peace versus justice dilemma. It took several years for the Supreme Court to clear the legal aspects and establish an exception to the amnesty law for specific crimes. Secondly, this case is the first ever to be tried under the ICD Rules of Procedure and Evidence, a special set of rules that aim to bring the ICD up to the standards of international courts. As a party to the Rome Statute, the ICD answers to the principle of complementarity, i.e. it has to be capable of dealing with cases of genocide, war crimes and crimes against humanity with the same standards as the International Criminal Court (ICC). The case is taking a long time because it creates unprecedented situations for the ICD. In 2016, the ICD started dealing with the pre-trial, a preliminary phase which seeks to establish “sustainable ground to believe” in the charges brought by the prosecution. This is more difficult than it sounds, because the charges against Kwoyelo are drawn from international law, which makes their application before a domestic court questionable. Likewise, in 2016, the pre-trial judge granted Kwoyelo’s alleged victims the right to participate at all stages of the proceedings. In a country where the criminal system is essentially suspect-centred, this ruling has broken new grounds, for which no playbook exists; the ICD has to innovate and create its own precedents. However, the pre-trial has shown that the ICD lacks the means to fully achieve this enormous task. For instance, the judges that make up the Court are not appointed full time to its work. For instance, the pre-trial judge has to combine her task with her daily management of the Mbale High Court, six hours drive away from Kampala. Additionally, the ICD has to implement new concepts, such as the participation of victims, which requires access to specific technical and material resources. Despite efforts from INGOs and development partners, these resources remain limited. Romain Ravet: On 30 August, the ICD confirmed 93 counts of crimes against humanity, war crimes and other alternative crimes against Kwoyelo; his case now goes before a panel of three judges. This is what the ICD calls the “main trial”. The Court now has to hear evidence to determine Kwoyelo’s guilt “beyond reasonable doubts”. As ASF, we are mainly concerned with the effectiveness of the victims’ right to participate in the main trial. This entails two important elements: the victims’ participation in the hearings and the victims’ ability to seek reparations if the accused is convicted. ASF supports the two counsels appointed by the Court to represent the victims. We have filed applications for 98 victims to participate in the proceedings but their approval is still pending. We also support the counsels in reaching out to the victims to update them about the proceedings and collect their expectations. Victims are eager to participate in the case, yet their participation raises questions of material facilitation and security. ASF is also giving technical assistance to the Court and has mobilized civil society to cover some of these needs, but we cannot substitute for the State’s duty to implement the 2016 pre-trial ruling. In terms of expectations, our research shows that victims expect reparations above all. The accountability aspect is secondary for them, as communities remain divided on this case. Many in Northern Uganda remain sympathetic to the LRA cause (which does not mean they approve of their crimes) and even more people are skeptical about the relevance of trying Kwoyelo through the formal justice system; some would rather see him undergo traditional Acholi rituals of reconciliation and punishment. Therefore, the victims’ main interest is to get compensation for the harm they suffered. 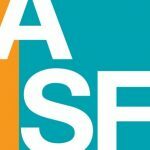 ASF has published Guidelines on court-ordered reparations that clarify all existing legal options. Options do exist, but if compensation depends on Kwoyelo’s solvency, this aspect will remain virtual. Beyond participation of victims, are there other challenges for the trial? Romain Ravet: Of course! This case is a test-run for the ICD. It will have to demonstrate its ability to live up to international standards in all matters. Notably, the case of the prosecution relies heavily on witness testimony. As the Witness and Victim Protection Bill and the Witness and Victim Protection Unit are not in place, the prosecution is preoccupied by the safety of its witnesses. As for the defense, they also feel the consequences of the lack of the state support to the ICD. Kwoyelo’s counsels find it difficult to access possible witnesses for the defense and struggle with issues of translation and interpretation. All rulings, including the confirmation of charges, are in English, a language Kwoyelo does not understand. There again, civil society is trying to help but this is a State’s duty. Romain Ravet: The ICD needs the full support of the Uganda government and other stakeholders. The Judiciary is concerned with giving this trial means that ordinary trials do not get. Yet, this trial is special in all aspects. The ICD’s ability to deal with international crimes will directly affect other pending cases, notably the Mukulu case which has huge implications for ongoing regional conflicts. Most importantly, many people in Northern Uganda rely on the trial to help them heal and move forward with their lives. The international community is also watching to see if the ICD will meet the test of complementarity with the ICC. Even if Kwoyelo gets convicted, victims have almost no chance to get compensation unless the State develops a special fund. A cynical rumour is spreading in Northern Uganda that one had better be “a victim of Ongwen than of Kwoyelo”. This is a dark expression of the victims’ frustration but it is also telling of the stakes at play. People affected by the conflict still live with open wounds, figuratively and literally. The narratives around the conflict are plural and complex: victims blame the State nearly as much as the LRA for their dire situation. The heated debates and the hopes of the early 2000s have given way to pessimistic discourses among the affected communities, people despair that the State has not done enough to help them recover from the conflict. The trial is a double-edged sword: its failure could widen the gap between the Northern population and the government but its success could help restore their relationship and bring some closure on the crimes of the past. Meaningful participation of the victims might be the factor that tips the scale in one direction or the other. This piece was originally published on the Avocats Sans Frontières (ASF) website. It has been republished here with permission. Avocats Sans Frontières/Advocaten Zonder Grenzen is an international NGO specialising in defending human rights and access to justice.